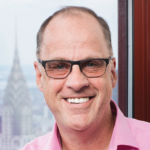 With MoviePass re-introducing its loss-leader $9.95 monthly service affording subscribers daily access to any non-3D/Imax theatrical screening, Ted Farnsworth, CEO of parent Helios and Matheson Analytics, says the service reboot won’t self-destruct like the last one. In an interview with The New York Post, Farnsworth says the initial $9.95 unlimited plan launched in the summer of 2017 paying exhibitors face value for every ticket consumed by subscribers didn’t fail due to a flawed business model, instead fraudulent use of the plan contributed to the service hemorrhaging hundreds of millions of dollars. According to Farnsworth, 20% of Movie Pass subscribers abused the service by acquiring tickets for friends and family not enrolled, binge-watching select movies and/or buying tickets just to go to the bathroom. He said the abuse, which according to MoviePass resulted in the loss of “tens of millions” of dollars, won’t happen again due to new fraud-detection software installed in the system. Indeed, without exhibitors discounting ticket prices or engaging in revenue-sharing deals to reduce costs, MoviePass resorted to blacking out access to select titles in high-traffic theaters in New York and Los Angeles, among other cities. That led to mass cancelations among the service’s 3 million subscribers. MoviePass 2.0 now can check legitimate use by monitoring the sub’s location through the service’s app on a user’s smartphone. If the user watching a movie isn’t connected to the service through their phone, MoviePass will know about it. While that type of legitimate subscriber nonetheless contributed to HMNY shares being delisted as investors fled the company, Farnsworth said the typical MoviePass sub watched 1.7 movies monthly, which included the fraud data. MoviePass claims it has seen an 800% spike in new subscribers since bringing back the $9.95 plan on March 20. HMNY shares closed March 22 up more than 6% to 1.2 cents per share – 98.8% below Nasdaq’s $1-per-share minimum. 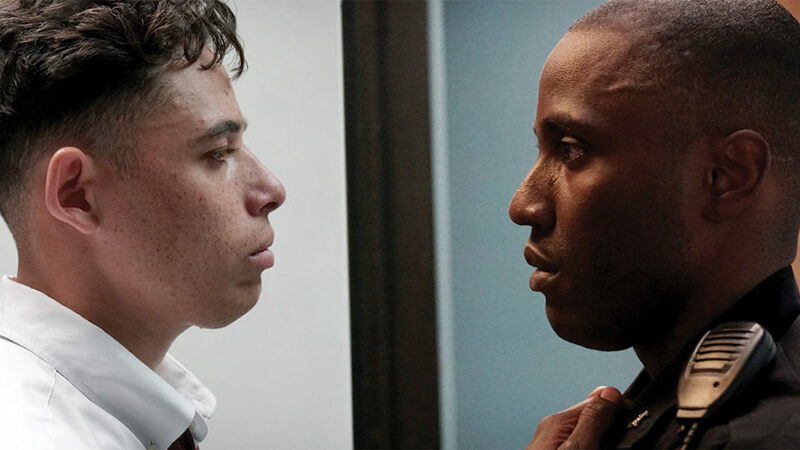 MoviePass Films, the production company co-owned by MoviePass parent Helios and Matheson Analytics (HMNY), has partnered with independent distributor Neon for upcoming releases of Sundance award-winner Monsters and Men and Cannes award-winner Border, both of which are anticipated to open in the U.S. in the next few weeks. Neon, which distributed Oscar-nominated I, Tonya, Three Identical Strangers and Ingrid Goes West, shares equity ownership in Monsters and Border. HMNY launched MoviePass Films as an ancillary revenue stream – streaming, DVD sales, transactional sales, international rights, retail – from its branded theatrical subscription ticket service. “The films are high-caliber, prestige titles and are great fits for the MoviePass audience,” MoviePass Films CEO Randall Emmett, said in a statement. The partnership kicks off with the New York City premiere of Monsters and Men on Sept. 25, ahead of the drama’s New York and Los Angeles opening on Sept. 27. The film will be available in theaters nationwide in mid-October. Border, which was selected as Sweden’s entry for best foreign-language film at the Academy Awards, took home the top prize in the Cannes Film Festival’s Un Certain Regard category earlier this year. Fiscally-challenged MoviePass will make the films available to subscribers as bonus movies, which will not count toward monthly in-theater movie allotments. Select subs will also have a chance to attend the film’s red-carpet premieres and receive other special perks throughout the duration of the partnership. “It’s great to see the different Helios media companies coming together and working towards generating more business for each other,” said Helios CEO Ted Farnsworth. Farnsworth could use all the synergies he can find. HMNY shares are currently trading at 1.6 cents, with the stock in threat of being delisted by Nasdaq. HMNY has a market cap around $10.5 million. MoviePass Films’ partnership with Neon follows just-wrapped production on 10 Minutes Gone, starring Bruce Willis. Previously, MoviePass Films produced Gotti, The Row, co-acquired American Animals through MoviePass Ventures, and claims to have a slate of 10 films being prepared for production. With its stock hovering around two cents per share, Helios and Matheson Analytics — corporate parent of MoviePass — is now restricting annual subscribers to three theatrical screenings per month — down from a daily screening. In an email to the service’s $89.95 annual subscribers, the company said the switch would help maintain lower overhead costs, while affording subs with greater access to content. 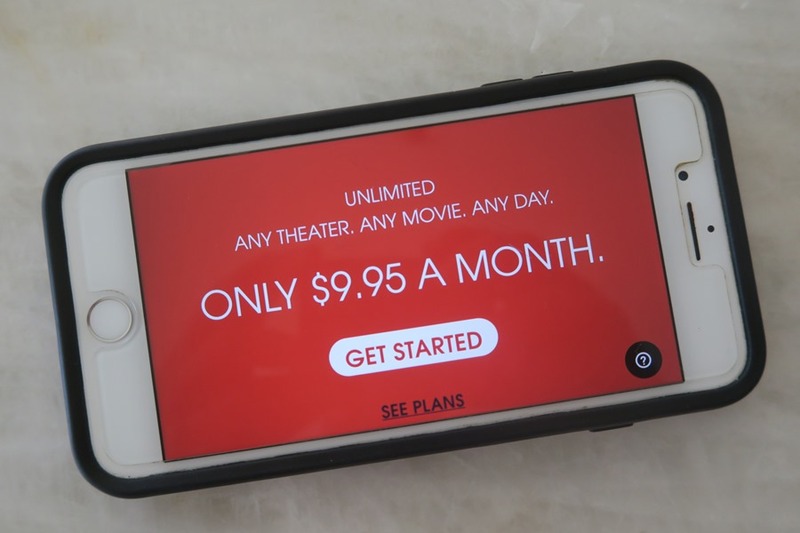 “After experimenting with different models and options, we believe that our current monthly plan captures the need of our community — keeping prices low while continually striving to offer a wider selection of films,” said MoviePass. In effect, MoviePass is now subjecting annual subscribers to the same three-title screening restrictions it imposed upon month-to-month subs earlier this year. Subs are also restricted to select titles and screening titles. The company is allowing annual subs to cancel their membership for a prorated refund if they choose. Departing annual subs is the least of MoviePass’ issues, which have dogged the once-promising service after Wall Street grew leery of a business model that enables subs to essentially watch a theatrical screening daily for free. After cutting the monthly subscription price to $9.95 a year ago, MoviePass took off among consumers, attracting three million subs. At the same time, the service was unable to leverage its sub base with exhibitors in exchange for lower ticket prices. With MoviePass paying exhibitors face value for every ticket consumed by subscribers, fiscal losses have mushroomed – more than $200 million through June 30. Despite a 1-for 250 shares reverse stock split and the company buying/selling hundreds of millions of shares to boost the stock price, HMNY’s stock continues to plummet – leaving initial investors with virtually nothing except a desire for revenge. Numerous shareholder lawsuits have been filed against HMNY, and founder/CEO Ted Farnsworth, among others. HMNY is 92% owner of MoviePass which enables subscribers daily (now three times monthly) access to a theatrical screening for $9.95 monthly fee. The cases include Chang v. Helios and Matheson Analytics Inc., 18-cv-06965, and Braxton v. Benson, 18-cv-07242 – both filed this month in U.S. District Court, Southern District of New York. Defendants named include Ted Farnsworth, CEO of HMNY, and Stuart Benson, CFO. 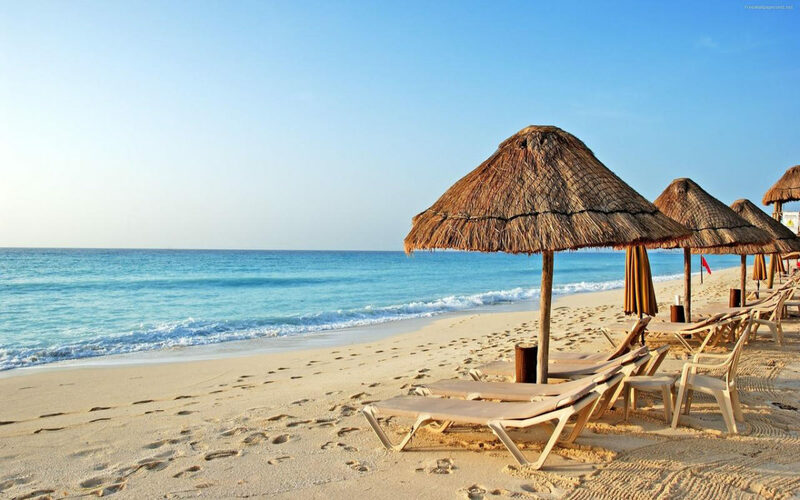 In recent weeks as shareholders have jettisoned HMNY stock – now worth pennies despite a 1-for-250 shares reverse stock split – as financial disclosures reveal an untenable business model that borders on a pyramid scheme. HMNY this week said its ability to continue as a “going concern” remains in doubt without additional funding. 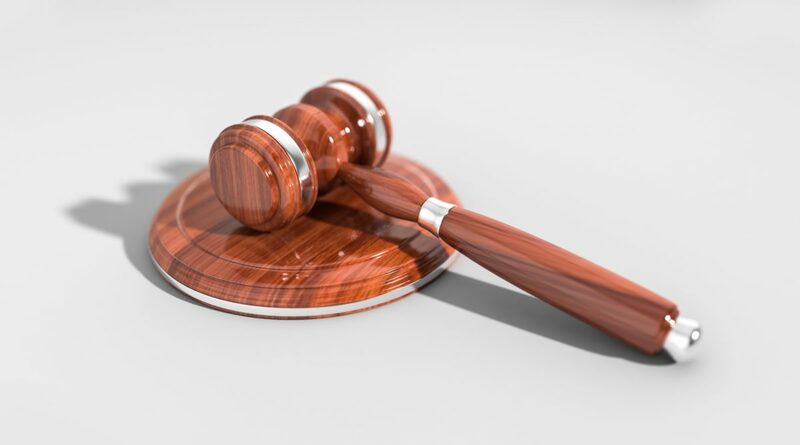 During the same time law firms specializing in securities litigation have flooded the market soliciting potential plaintiffs against HMNY. Plaintiff Jeffrey Chang claims the Farnsworth and Benson (Mitch Lowe, CEO of MoviePass, was not named in the suit) as officers of a publicly traded company had a responsibility to “disseminate prompt, accurate and truthful information” regarding the HMNY fiscal condition. Instead, the complaint alleges Farnsworth, Benson (and Lowe) misrepresentations and omissions during the class period violated these specific requirements and obligations. Specifically, the complaint alleges the executives are liable for making knowingly false statements through so-called “group-published” information. To buttress its case, the filing included every HMNY/MoviePass press release since it acquired majority control of the ticket service on Aug. 15, 2017. Chang seeks a jury trial and unspecified compensatory damages and legal costs. A HMNY representative was not immediately available for comment. Financially strapped MoviePass plans to limit subscribers to three theatrical screenings per month as it desperately tries to cut overhead costs and avoid insolvency. The service is also canceling a planned price hike. The change comes just days after the service, which has more than 3 million subscribers, said it would increase the monthly subscription fee 50% to $14.95 (from $9.95) and restrict daily access to movies (i.e. blockbusters) released on more than 1,000 screens until two weeks after their debut. 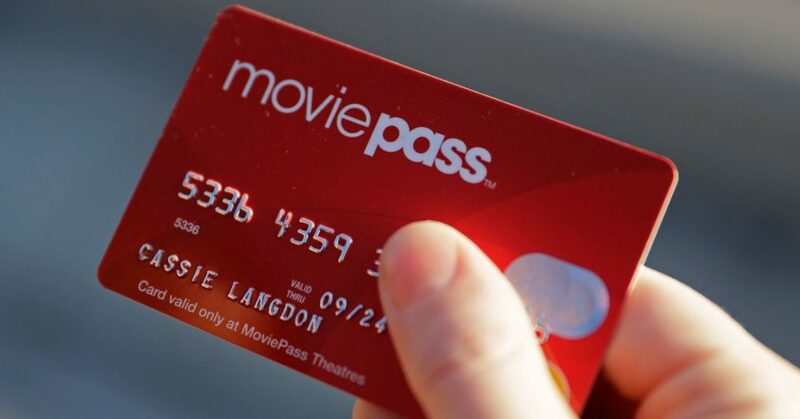 In an interview with The Wall Street Journal, MoviePass CEO Mitch Lowe said the latest change would take effect Aug. 15 and help slash the company’s monthly cash burn by 60%. Through June, the service was spending $45 million more per month than it was generating. “[Subscribers] will not be affected at all by this program, and even better, they’ll stop hearing MoviePass is going out of business,” said Lowe. Indeed, with corporate parent Helios and Matheson Analytics’ stock hovering around 7 cents per share — after a 205-to-1 consolidation of shares — the company is in dire straits on Wall Street. Most analysts have written off a company that was heralded as industry disruptor/innovator just last September. Company officials predicted 5 million subs by the end of the year. HMNY was forced to take out an emergency loan (since repaid) just to keep the lights running. Lowe admits efforts to stem the fiscal hemorrhaging should have been instigated earlier. How subscribers react to the new rules remains to be seen. AMC Theatres’ rival $19.95 service, AMC Stubs A-List, has generated nearly 200,000 subs since launching a month ago. It offers members access to three movies per week on any AMC screen, including Imax and Real3D. NEWS ANALYSIS — With its shares worth pennies, Helios and Matheson Analytics, corporate parent of ticket subscription service MoviePass, has launched a salvo of fiscal Hail Marys. The company July 2 announced a “mixed shelf” securities filing with the Securities and Exchange Commission, which would allow it to sell $1.2 billion worth of securities over the next three years in various amounts and pricing. The move follows a June 28 filing in which HMNY quietly agreed to exchange 22.6 million actual shares of HMNY with holders of more than 26 million warrants (to buy stock). The latter sent the stock up nearly 35% to an (still) anemic 31 cents per share, a momentary swing that dropped to 27 cents in pre-market activity the morning of July 2. Regardless, the action was a win for the holders of HMNY warrants, which were reportedly actionable only when the stock price topped $5.50 per share. HMNY, which owns 92% of MoviePass, is attempting to right a loss-leader business model that enables MoviePass subscribers access to one theatrical screening daily for a $9.95 monthly fee. While a boon to consumers, MoviePass (with more than 3 million subs) is a fiscal nightmare to HMNY’s liquidity: reportedly costing $40 million alone in May ticket purchases by subscribers. The service from Jan. 1, 2017, through Dec. 10, 2017, lost more than $31 million, spending $46 million on tickets while generating less than $15 million in subscription revenue. Simply put: MoviePass is hemorrhaging millions of dollars more than it takes in. Not a position it wants to be in during a burgeoning domestic box office that saw revenue surpass a record $3 billion in the second quarter, according to AMC Theatres, which launched its own ticket subscription service in June. Later this month, HMNY is expected to authorize a reverse stock split aimed at raising the share price well above the Nasdaq-mandated $1-per-share minimum. Indeed, the reverse split — which must be approved by shareholders — is a pre-requisite to the aforementioned securities offerings. Shares of Helios and Matheson Analytics, parent of MoviePass, saw the stock price plummet 13% in early trading as AMC Theatres rolls out its ticket subscription service. HMNY shares are trading around 25 cents as it struggles to sustain MoviePass’ business model enabling subscribers daily access to a theatrical screening for $9.95 monthly fee. AMC contends such a program is unrealistic financially. Indeed, MoviePass spent $21 million monthly paying exhibitors such as AMC for tickets consumed by subscribers. That cost went up to $40 million in May – just as the summer movie blockbuster season begins. AMC CEO Adam Aron, in a statement, said the chain’s AMC Stubs A-List subscription service – affording subs to three AMC movies weekly – is sustainable at $19.95 monthly. He said there’s been “overwhelmingly positive response” since it began. NEWS ANALYSIS — The corporate parent of fiscally-challenged ticket subscription service, MoviePass, May 16 reported a first-quarter (ended March 31) loss of $26 million, compared with a loss of $6.4 million during the previous-year period. To Ted Farnsworth, CEO of parent Helios and Matheson Analytics (HMNY), the quarter was huge success. “We are excited to report our biggest quarter in Helios and Matheson and MoviePass combined history. This growth surpassed our expectations,” he said in a statement. Indeed, HMNY said MoviePass passed 2.7 million subscribers in the quarter. Unfortunately, those subs — who have access to one theatrical screening per day for a $9.95 monthly fee — negatively impacted the bottom line. HMNY boasts MoviePass is accepted in 91% of theaters nationwide, and indeed revenue ballooned to $49.4 million from $1.4 million a year ago. But the cost of that revenue skyrocketed to — $136 million. HMNY reported a negative $68.4 million in net cash used in operating expenses. As has been previously reported, MoviePass continues to burn through millions of dollars more than it takes in. HMNY said it ended the quarter with $42.5 million in cash and cash equivalents. 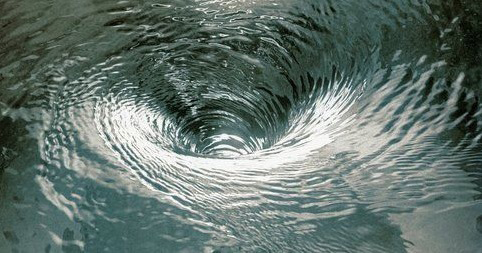 But back to the spin. 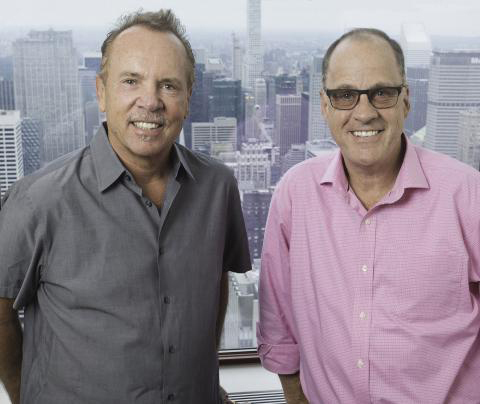 Citing third-party research hired by The Hollywood Reporter, HMNY said MoviePass continues to interrupt the theatrical market in positive ways. It said 41% of respondents decide what theater to attend based on MoviePass, and only 18% would switch to a rival subscription service started by their favorite theater chain. Not surprisingly, MoviePass subscribers are twice as likely to attend movies on opening weekend; 83% are seeing more movies than before they were subscribers. Respondents are twice as likely to see Oscar-nominated movies such as Lady Bird, The Post, Annihilation and I, Tonya. In addition, 49% are more willing to attend movies alone, and 49% say they are seeing movies that they wouldn’t normally see in theaters. 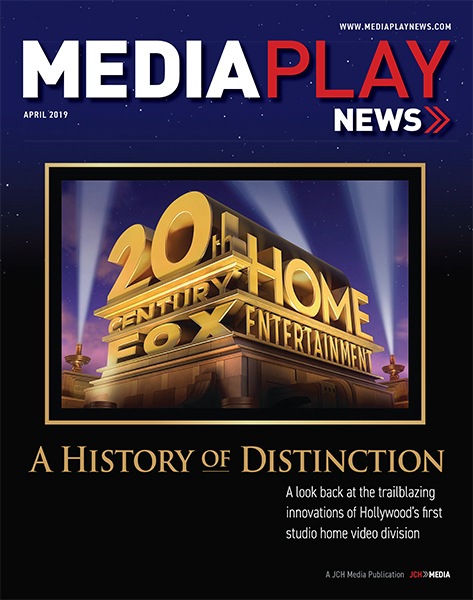 “Our core strategy has always been to provide a compelling value proposition to consumers that vastly improves their movie-going experience,” HMNY said in the fiscal release. True, but someone has to pay for that strategy. And right now only MoviePass is holding the bill. NEWS ANALYSIS – Ted Farnsworth, CEO of MoviePass corporate parent Helios and Matheson Analytics (HMNY), is sounding pretty confident for a guy whose company is trading like a penny stock. MoviePass, the theatrical ticket subscription service that enables subscribers daily access to a screening for a $9.95 monthly fee, is burning through millions of dollars more than its subs are paying. The company’s auditor warned about its economic future. But Farnsworth isn’t worried. Like a wannabe “Baghdad Bob,” the executive is holed up at the Cannes Film Festival in sunny South France spinning to anyone who will pay attention. Apparently, Variety did. Farnsworth told the trade he’s “not worried at all” that investors have sent his stock valuation down nearly 98% in the past six months. On the contrary, Farnsworth is supremely confident. “You’re going to see. We’re doing more acquisitions of movies and companies,” he said. HMNY has now become a buyer and seller of movies, while also dabbling in mergers and acquisitions. In April, it acquired Moviefone, in a deal that largely made Verizon – owner of the ’80s ticketing telecom holdover – a 9% stakeholder in Helios. Impressive for a company that disclosed last week it had just $15.5 million in available cash operating a business model that was spending $21.7 million every 30 days. Indeed, Farnsworth – who is on the French Riviera peddling John Travolta-starrer, Gotti, revealed the company has a $300 million line of credit and could sustain itself for another 17 months without additional funding. This mysterious lifeline was never mentioned in the regulatory filing. In fact, MoviePass Ventures, HMNY’s content acquisition arm, is in Cannes on the prowl. In addition to Gotti, which Lionsgate dropped from its theatrical release slate, Ventures cut its teeth in March acquiring rights to indie crime caper, American Animals, in a partnership with The Orchard. And to Farnsworth, Cannes presents “un grand table” of opportunity. Investors, thus far, seem indifferent. HMNY shares closed May 14 at 68-cents per share. Helios & Matheson Analytics (HMNY), corporate parent to movie ticket subscription service MoviePass, May 10 saw its shares decline for the 11thstraight day to 61-cents per share – the lowest the stock has traded since the Great Recession of 2008. HMNY, a data-driven investment firm, has been so sure of the MoviePass business plan affording subscribers access to a daily theatrical screening for $9.95 monthly fee, it owns 92% of the company, installing Mitch Lowe, ex-visionary with Netflix and Redbox, as CEO and company spokesperson. The result has been a lot of media hype, film festival sponsorships, film acquisitions (?) and more than two million subscribers – the latter burning through $21.7 million in HMNY cash monthly. The fiscal black hole is because MoviePass pays theater chains face value for any ticket used by subscribers. So, while the service has indeed jumpstarted theatrical foot traffic, it has done so with a loss-leader business model that is hemorrhaging investor money. HMNY this week, in a regulatory filing, warned it had just $15.5 million in available cash. And Wall Street took notice. 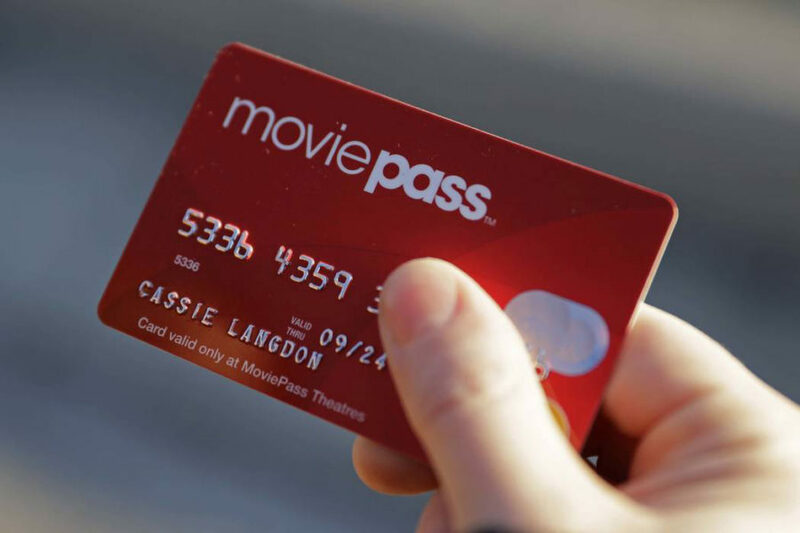 Observers say that unless MoviePass restricts user access – to three movies monthly, it will collapse. And with Solo: A Star Wars Story, hitting screens May 25, subscriber usage could balloon. “It is not the only way to demonstrate a sustainable subscriber business model, but it is the easiest to sell to investors,” Nehal Chokshi, analyst with Maxim Group LLC, told Bloomberg.